The Dadas Shale is a small, but promising prospect due to its geological similarities to successful shale formations located in the US. The Dadas is located in south Turkey near Syria and contains both oil and natural gas reserves. According to a report released by the Republic of Cyprus in conjunction with the Energy Information Agency (EIA), when it comes to natural gas, the location contains approximately 163 trillion cubic feet (Tcf). The Dadas includes up to 4.7 billion barrels of oil resources as well. The Dadas is still largely unmined; however, several companies are currently exploring prospects. Poland is an emerging market for shale plays. With its 187 reserves, many investors have Poland and its Baltic Basin on their radar. As of January 2014, developments are just underway and the commercial prospect is still fairly new in terms of opportunities. 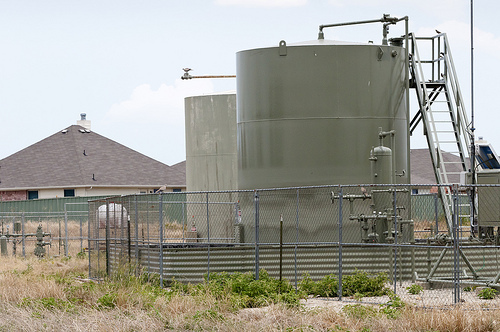 Tests show the basin flows with as much as 60,000 cubic feet of natural gas reserves. The Baltic Basin features a vertical well formation, which allows shale play for multiple drillers across the area. A study of the Sirte Basin by the U.S. Geological Survey reports, “The Sirte (Sirt) Basin province ranks 13th among the world’s petroleum provinces, having known resources of 43.1 billion barrels of oil equivalent (36.7 billion barrels of oil, 37.7 trillion cubic feet of gas, 0.1 barrels of natural gas liquids).” Although the country is a global leader for its natural gas and oil resources, in 2011 social conflict and civil war have created an unrest that delayed drilling. As of 2013, oil extraction resumed; however, continuing conflicts sometimes halt workers and keep worker production rates low. Liard Basin is located in British Columbia, Northwest Canada, spans 430,000 acres, and features natural gas reserves of up to 48 trillion cubic feet (Tcf). Situated near Canada’s highly drilled Horn River Basin, Liard offers new shale play since it’s currently highly undertapped. Estimates show recoverable gas resources at around 158 Tcf. So far, companies have drilled at least 3.1 Bcf over a 12-month period. Since the drilling in the Liard Basin is still relatively recent, the combination of the estimated resources, as well as future production, will likely prove it a major global reserve. Cooper Basin in Australia features so-called “unconventional hydrocarbon” resources or hot shale. According to the Australian Government, Geoscience Australia, the Cooper Basin hosts both natural gas and oil reserves. The Cooper Basin, unlike other Australian reserves, is centrally located for easy-access operations. According to the EIA, “Most of the exploration activity has focused on the Cooper basin in the interior of the country where the majority of the country’s onshore traditional gas reserves are located.” Cooper Basin contributes to around five percent of Australia’s overall natural gas reserves, boasting 437 Tcf of recoverable resources. Mexico is quickly becoming a leader for drilling in North America. It’s also a top global contender as well, with 681 reserves. The country ranks number four overall for shale-based resources and accounts for at least 10 percent of globally recoverable resources. Overall, Mexican basins, including the Tampico-Misantla, produce on average 297 Tcf of natural gas. The Tampico-Misantla in particular features 34.7 billion barrels of oil equivalent (BBOE) in both oil and wet gas. Argentina is especially rich with shale formations, specifically within the Neuquén Basin. In particular, the Vaca Muerta Formation has been the greatest shale play out of Argentina. The area is currently home to the most exploration and drilling operations in the country. According to the Geology & Geological Engineering department at the Colorado School of Mines, “The Neuquén Basin has been producing for over 100 years and is currently being explored for unconventional resources.” At least 50 wells have already been tapped. Vaca Muerta alone offers natural gas in increments of 275 Tfc and up to 3.7 billion barrels of shale oil. In our last series, we named Eagle Ford one of the largest shale plays in the United States. The formation also happens to be a top global resource, as well. Located in Texas, Eagle Ford Shale features both natural gas and shale oil resources making it an especially rich prospect for investors. 1,257 drilling permits have been issued for January through March 2014 alone. So far in 2014, the 400-mile long area produced up to 3,281 Million Cubic Feet Per Day (MMcf) of natural gas and 764,438 barrels per day of oil. China features major oil and gas basins and 1,275 gas reserves. The Yangtze Platform is just one of seven key shale plays in the country. The area is also a top global producer. Three major companies, including Shell, are currently exploring the formation. An estimated 222 Tcf of recoverable natural gas is accessible via the Yangtze Platform. With so many shale plays popping up all over the world, it’s no surprise that natural and oil drilling have become a sizable portion of the global economy.